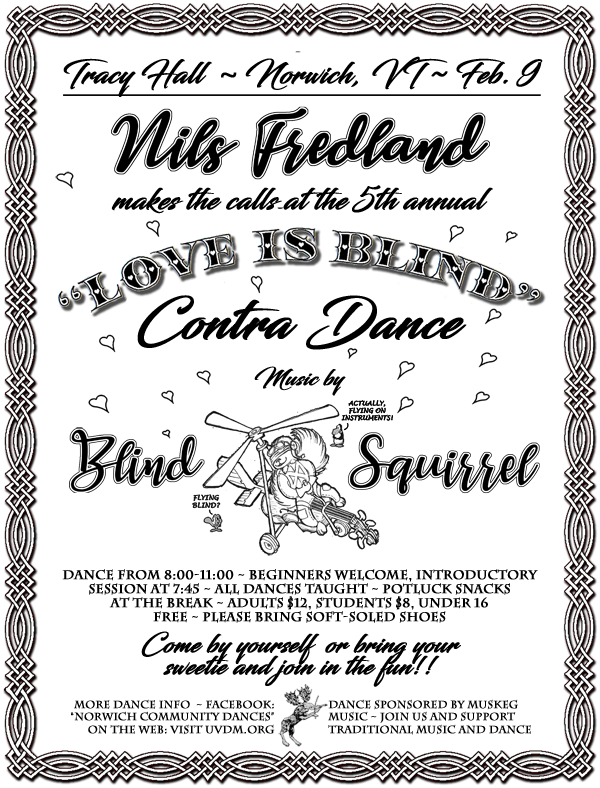 Blind Squirrel includes Upper Valley musicians Bill Shepard, Erin Smith, and Steve Hoffman (fiddles); Suzanne Long (fiddle and cello); Christina Jeske (whistles); and Chip Hedler (guitar). What first brought them together was their mutual desire to make the music that gives contra dancing its unique spirit. Their highly danceable repertoire draws on traditional and modern Quebecois, southern old-time, celtic, and northern New England sources. There's a sample of their music below. Once again caller Nils Fredland brings his fresh, friendly calling presence to Tracy Hall. Known for his ability to bring together new dancers into the action while satisfying those who hanker for variety and excitement, Nils sometimes ratchets up the musical energy with choice riffs on the trombone. 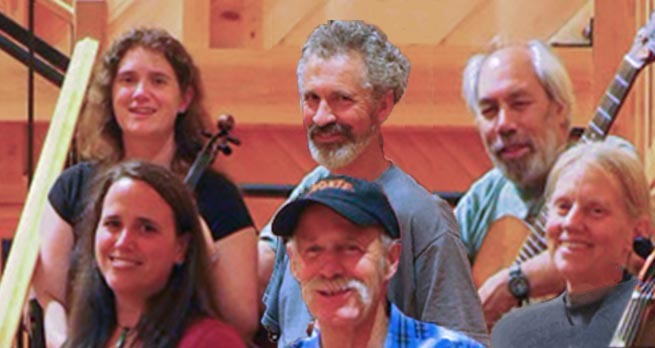 Nils is sought out to call contra dances all over New England and abroad. He also serves as the Artistic Director for Revels North. Check out Nils' calling in the video below!